It carries many different names, but regardless of your perspective on “The Great War”, the ramifications are immense. More than 37 million people are thought to have died, gone missing or been casualties in the four and a half years of conflict. Showcasing the horrendous breadth of the battles, an extraordinary number – approaching 20 million – of those were civilians trapped either in the line of fire or, equally as troubling, by disease, famine and displacement as war efforts diverted attention and funds away from the practicalities of life. There was action across Africa, the Middle-East southern and eastern Asia, Oceania and even into New Guinea and Australia. Yet the damage and heartache was felt even further afield with barely a family in the world untouched by tragedy. More than 100 countries played their part whether directly in battle, providing troops to distant empires or keeping up supplies to the war machines. The Great War triggered revolutions, forged nations, bound some countries tightly while splitting others for generations and shifted borders. In short, it changed the world permanently and irrevocably. 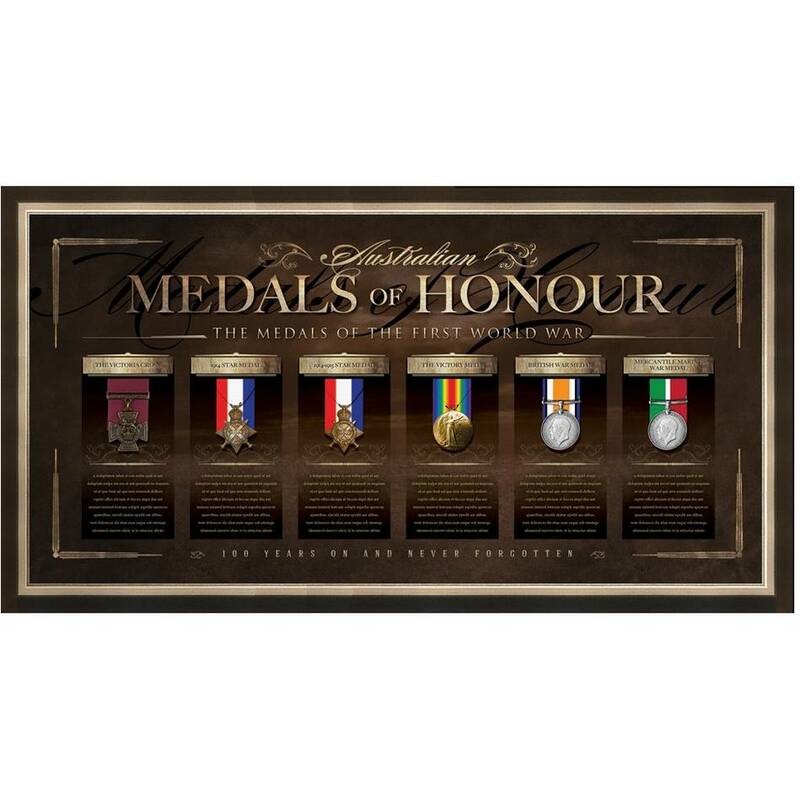 The item detailed below are apart of the items being released by Official Memorabilia as part of Centenary of the Great War program. These are the only items available pre-Christmas 2014. Further items will be released closer to the Centenary of the landing at ANZAC Cove anniversary. These items are dedicated to the memory of those fallen and those left behind who had to pick up the pieces.